People often assert that Jesus was homeless. Sometimes they describe him as a peasant. They usually make this argument to demonstrate his solidarity with the poor. I have two problems with the argument. First, it is not accurate. 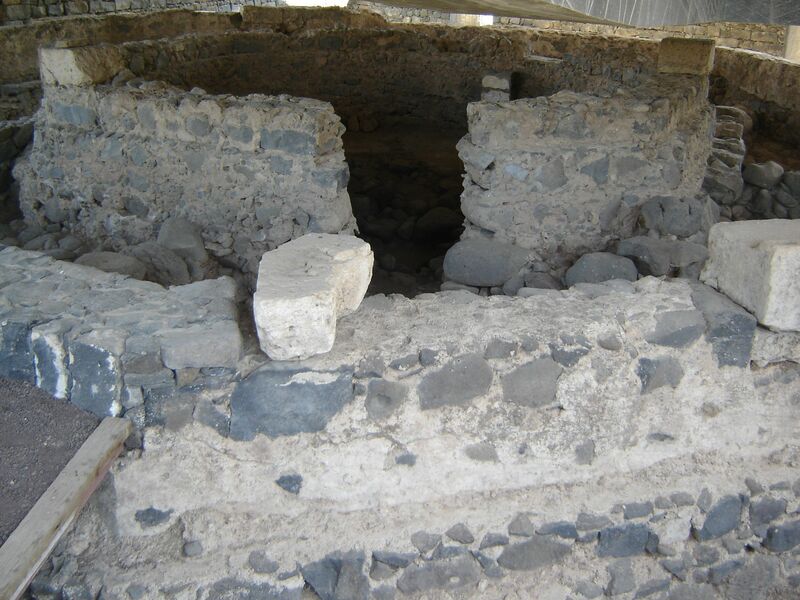 Jesus likely did have a home, and it may have been at the traditional site of Peter’s apartment building. These simple details can be jarring for those of us who have grown up on movies of Jesus outdoors in pastoral settings, preaching to the multitudes. Jesus the builder (tekton, not “carpenter”) lived in a city. He likely had a job in Capernaum, possibly using the stone-cutting skills he learned in Nazareth to make the millstones that were one of Capernaum’s main industries. When he began his itinerant ministry, people were more than happy to host this celebrity in their home. His reputation was good enough that everywhere he went people were delighted to house and feed him and his disciples. He stayed with Simon the Leper, Levi, a nameless Pharisee, another Pharisee who was a leader, and even Zaccheus. He had a group of women disciples who supported him. In contrast, modern people who are homeless are often also cut off from relationships that could benefit them financially. Bryant Myers points out that there are many types of poverty: financial, spiritual, relational, political, and so on. People who are poor in one area are often poor in others, and you cannot adequately address one without the others. The teenager kicked out of his home because he is gay becomes homeless because he is in political and relational poverty. In the same way, people can often survive a temporary setback in one area (financially) because they have other areas in which they are not poor (relationally). As a middle-class person with middle-class friends, I have people who will loan me their cars if mine breaks down—because they have spare cars! This is the kind of privilege that many people take for granted: transportation, free use of public spaces, access to bathrooms, a community of support, clout and social capital. My second problem with the argument that “Jesus was homeless” is that it romanticizes homelessness and poverty. Those of us who have money find it easier to believe that you can live without it, and we imagine Jesus and the disciples cultivating a Zen-like detachment from such things. We imagine their crew telling stories around a campfire. Middle-class people think homelessness is something like camping out, the ultimate simple-living lifestyle option. After all, didn’t Jesus advocate giving up all of our possessions? Perhaps I am simply a person of weak faith, but I find it pretty hard to believe that one can create a world-changing ministry and movement while struggling with homelessness. Jesus would have no time to preach, because he’d be standing in line at the employment office. He’d have no energy to preach because he wouldn’t get any sleep. He’d be commuting four hours a day on a bus because there was no direct route from the abandoned house he lived in to the basalt quarry where he worked. And no one would follow him or take him seriously because he’d be practically invisible. So, no, Jesus wasn’t homeless. What did he mean, then, when he said he had nowhere to lay his head? In the Hebrew Bible, referring to “laying one’s head down” usually means being able to do so in peace, as in Psalm 23, Psalm 4:8, and the different animals lying down together in Isaiah 11:6-7 and Hosea 2:18. Sleeping an untroubled sleep is a gift from God. Foxes and birds to not live in their respective shelters—it’s where they go to be safe. The would-be disciple is warned that following Jesus means perpetual danger, sleeping with one eye open, always on the run. This warning is spoken by a marked man who has a price on his head, perhaps in part because he does speak out for the poor and those without homes. Of course, this last point is something Jesus does have in common with people who are homeless. A place to sleep is not just about getting rest: it is about safety. If you must live in constant fear for your bodily safety and the safety of the few possessions you do have, you are in a state of constant, health-destroying stress. When I hear the scripture that way, I can’t help but remember that most of those first disciples were killed. Thinking of the scripture this way shifts the meaning away from personal piety and self-denial (which are still important) toward the kind of activism that puts Jesus’s followers at risk. Human beings are political animals, and politics pervades all we do. Imagine that you take a large group on a picnic: Who decides where you go? Who will bring what kind of food? Will there be entertainment for the little kids? What time will you do it and whose schedules will you accommodate? These are all political questions: figuring out how you organize power and resources to do something as a group. We only notice that it’s “politics” when we don’t like certain things and we start asking uncomfortable questions about relationships. Why did you pick this place? Who put you in charge? Why didn’t you think about the vegans and the people with peanut allergies? Why did you ask the Throckmortons to bring drinks when you know they aren’t reliable? This is the last time I go on a picnic with you—you’re a bad leader! We don’t notice that a picnic is political when everything goes smoothly. You just exercise leadership, and nobody complains that you’re an autocratic dictator. But because we live in a democracy, we all expect to have a say, and we pay attention to and expect good leadership on everything in a picnic, from the selection of paper or cloth napkins to the weather. And if you leave the potato salad in the sun, and half the group gets food poisoning, someone may attribute it to your leadership and character flaws. The word “politics” comes from the Greek word for city: polis. Everything that human beings do as groups involves politics. We organize effort and resources, time and money, to accomplish certain goals together. Naturally, our religion has some bearing on politics, and vice versa. Quite a bit of the first five books of the Bible is about politics, and you can tell the author(s) are a bit cynical about our political and religious character. Moses leads slaves out of Egypt, they grumble against him, and God steps in again and again. Apparently living together as human beings just naturally creates conflict. While it’s natural for there to be conflict in human politics, polarization happens when a conflict pushes people to take a more extreme view than they might express otherwise. The word “polarize” comes from polos, which means axis or sky. It’s an interesting metaphor: Our conflict pushes us to the poles, to the ends of the earth. It expresses the feeling that we might be able to find common ground, but something within the conflict prevents us from acknowledging what that is. While our actual beliefs and values may be nuanced and complex, the way we debate forces us into either/or thinking. Of course, at least once a month, I participate in the Lord’s Supper, and at this picnic I pray over the bread and wine, “Make us one in Christ, one with each other, and one in ministry to all the world until Christ comes in final victory and we feast at his heavenly banquet.” (Even this aspirational unity is not shared by all Biblical authors). And, for a time, Essenes and Zealots and Sadducees and Pharisees come together again around Christ in their brokenness, united by his brokenness. Zealots believed in the overthrow of the Roman Empire. They would not tolerate pagan idols and practices in their land. God would bring about the Kingdom with their help. Essenes believed in withdrawing from the corrupt Temple system and the Empire. They would live holy lives in an alternative world until God brought about the Kingdom without their help. Pharisees believed in radical personal holiness. 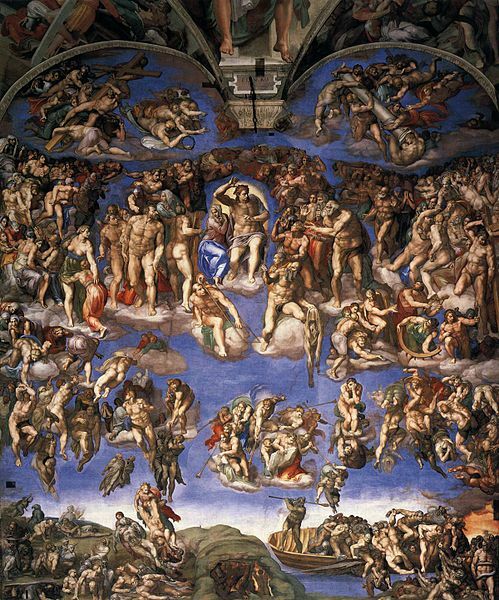 They believed in internalizing their religious law, and that God would give punishment and reward in the afterlife. Sadducees believed in the establishment. They made peace with Rome and focused on religious ritual. They believed divine punishment and reward happen in this life. Rather than thinking of the world in terms of liberal and conservative, I like thinking about how Christians of various kinds fall into similar groupings. For example, Zealots are those social activists who are passionately committed to political action. Essenes react negatively to Zealots, warning them against putting their faith in politics. There were also polarized parties in the early church. While we often love to talk about the unity of Acts 2, when believers were “all of one mind,” I think Luke’s depiction of the church is a bit more rosy than other evidence indicates. There were disagreements between Greek and Hebrew Jewish Christians. They fought over gender equality. They fought over food regulations. They fought over circumcision. They fought over how literally to understand resurrection. They fought over who was in charge. Of course, the most sanctimonious ones claimed they simply followed Christ. They struggled to figure out how to deal with slavery, classism, and their relationship to a pagan government. Sound familiar? Of course, Paul’s words to the Corinthians give disputing groups some guidance on how to treat each other. Basically, if you can’t be loving, at least be civil! And while he acknowledges that some members may be jerks (what he called “body parts you do not display in public“), they may also play an essential function. I believe our contemporary polarization is not some aberration from the ideal early church, but entirely consistent with the action of the Holy Spirit within a group of highly committed political and religious people. In any given conflict, there will be winners and losers, as there were from the debates before, and the terms of debate will shift, and we’ll be arguing about something else fifty years hence. But if we don’t look at the history of these disputes, and only focus on the rosy picture of church unity in Acts, we will never really ask, or learn, or care what God is doing, right now, in the midst of this debate. How has God acted before? Where would you have stood in the circumcision debate? In the food-sacrificed-to-idols debate? In the women-in-leadership debate? In the prohibition debate? In the civil rights debate? Are your religious and political attitudes closer to the Pharisees, the Essenes, the Zealots, or the Sadducees? We’re really good at finding prooftexts for our own beliefs in scripture. Can we also find examples of how to talk about those beliefs? Zealots, Essenes, Pharisees, Sadducees. These were the political parties of Jesus’ day, and it’s interesting that his disciples were made up of a hodge-podge of nearly all of them. 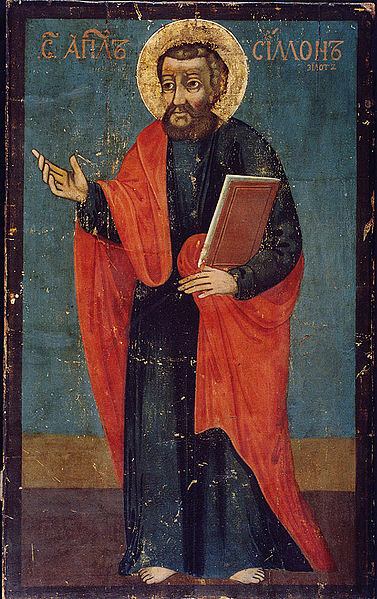 You had James and John, the “Sons of Thunder,” and Simon the Zealot, who advocated the violent overthrow of Rome. You had Levi, who had been a tax-collector—a Roman collaborator! You had Pharisees like Nicodemus and Joseph of Arimathea, and people like Mary, Martha, and Lazarus, who may have been Essenes (along with John the Baptist). Jesus was a crossover figure, someone who managed to connect with many different social and political groups. Even Greek-speaking hellenized Jews wanted to see Jesus. Jesus used rhetoric common to several different parties. He used the apocalyptic language of the “Kingdom of God” and “the resurrection” which many people interpreted literally, though it’s pretty clear he gave it his own unique twist. He took the hot-button topics of his day, like divorce and taxes, and managed to navigate the complex policy positions of disparate political groups. Preachers often say that Jesus is not the property of any modern political party, but they seldom talk about the way he dealt with political factions himself. I think what is impressive in these gospel stories is how deftly and rationally he handles complex political and religious issues: the competing religious schools of Rabbi Hillel and Rabbi Shimmei had definite opinions on things like divorce and other matters of religious law, and Jesus takes a position on them. He does so in a way that is rhetorically brilliant and grace-filled. But woe to you, scribes and Pharisees, hypocrites! For you lock people out of the kingdom of heaven. For you do not go in yourselves, and when others are going in, you stop them! Keep in mind, this is the same Jesus who in Chapter 5 told his followers not to call someone else a fool, yet in this chapter he does that and worse. Most readers of the Bible figure the Pharisees were a monolithic group that opposed Jesus, but actually there were plenty of Pharisees who followed Jesus. Pharisees emphasized living a lifestyle of holiness and ethical behavior in relation to God, much like the early Jesus movement. Naturally, some Pharisees became Christians. The main point of contention between the Pharisee-Christians and the others was whether or not circumcision and food regulations would be binding on non-Jewish converts. The “liberal”-leaning early church decided that such regulations would not be binding. So when this early church told the stories of Jesus in the gospels, they made sure to include Jesus’ polemical rant in Matthew 23. It became natural to think of all Pharisees as people who “locked others out of the kingdom of heaven,” and it’s why his criticisms still sound so relevant today. I’m not saying that the gospels cannot be trusted, or that the authors were practicing revisionist history. I’m just pointing out that polarization affected how they told the story. Although Jesus occasionally said nice things about the scribes and Pharisees (as in this story), those sayings didn’t get the same amount of air time. For John, people either got Jesus or they did not. Those who understood the character and personality of God recognized God’s character and personality in Jesus. Those who claimed to know God but did not, on the other hand, rejected him as being from God. John attributes polarization to the character of people’s hearts. When I hear modern people complain about polarization and hear them wish for greater unity among Christians of different political persuasions, I am reminded of the polarization that happened in the early church. Had that polarization not happened, most of us bacon-eating, sabbath-defying, foreskin-wearing (or not) Gentiles would not be followers of Jesus. These divisions were deeply theological and reflected how differently people thought about God. They also reflected people’s character: plenty of haters wrapped their hatred in holy language. Polarization can happen for either reason. 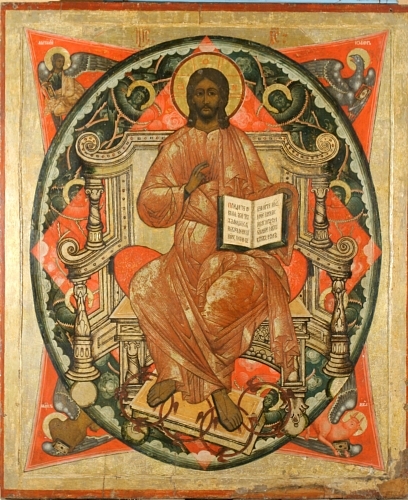 Many Christians’ contemporary political disagreements likewise reflect deep theological differences in how we understand 1) the character, purpose, and personality of God, 2) the incarnation of God in Jesus Christ, and 3) the nature, purpose, and destiny of humankind and all of creation. The polarization we experience in our political lives is seldom about which policy best matches our theology or achieves our common goals: It’s about whether we have common goals and theology at all. If we do not delve deeply into our disagreements and honestly talk about what’s at stake for us in our positions, we will never have those important conversations about what our faith actually means. Of course, as I noted in my last post, I’m someone who likes arguing. I find such stuff philosophically stimulating. I even like being wrong occasionally. I do have hope that people of diverse political opinions can come together around Jesus, just as his disciples did. When I workshopped my book, I was pleased that people of very different views could have excellent conversation around some controversial ideas. People on all quadrants of the political plane were able to have conversation about the Bible, which they held in mutual esteem. But I’m strongly opposed to minimizing those differences, and I remain committed to the idea that it is entirely possible to argue without being acrimonious, that it is important to call out dishonest rhetoric and name polemic and ad hominem attacks, to insist on data and good scholarship, and to lay all of our cards on the table. It is important to say, “This is what is at stake for me.” Only in this kind of context does the word “unity” have any meaning. I like to imagine how Jesus would navigate the political rhetoric of our day. A lot of preachers seem to think that he wouldn’t choose sides, but I believe part of his mass appeal was about articulating a divine, paradoxical mix of common sense, unconventional wisdom, and religious zeal while he did stake out his position. How would Jesus talk about our own tax system, or health care system, or foreign policy? Is Jesus okay with drone attacks? How would Jesus deal with the woman caught in the act of abortion, or the faction of people who want to legalize marijuana? How would Jesus talk to the tea party, or to the Occupy crowd? Where would his political sympathies lie? They had “gotcha” journalism back in the day, too—how would he deal with our modern rhetorical traps? In each election season, my earnest, hand-wringing Christian colleagues always want to tell people that Jesus is “neither a Democrat nor a Republican.” Jesus transcends politics, and Christians should not try to recruit him to support their own partisan positions. This is true in some ways, but it is also toxic rhetoric. Jesus is neither for nor against women’s suffrage. Jesus is neither for nor against segregation. Jesus is neither for nor against child labor. All of them are true. These are not things Jesus ever talked about. But are they issues that are irrelevant to the gospel? Earnest, sincere, Bible-believing Christians came down on both sides of these issues. Were all of their positions of equal moral value? Were some of them wrong? What would be a “fair and balanced” way to talk about these issues and Christian faith? There are people—jerks, mostly—who say things like, “You can’t be a Christian and a Democrat.” I have not actually heard someone say that one can’t be a Christian and a Republican, but I’ll go ahead and assert that there are probably some out there who believe the same. I think most thinking people would agree that Christians might hold a variety of political beliefs and come from a variety of backgrounds. This is why I think it can be condescending to remind people that Jesus is not the property of any political party. While the statement is true, its language can take some of the most important issues for theological argument off the table, and it can turn questions like “how can we best reduce poverty and do justice?” into matters of mere personal preference. I do not honestly see how pastors who promote this view of politics can take offense when people treat their own religion the same way—as mere tribal loyalty, a private matter of preference, something that shouldn’t be talked about in polite company or among friends. Okay, here are my qualifying statements: First, I understand that for some of us, striving for harmony is a strength, and part of this is a personality issue. Harmony is not my strength: I would rather have an argument with a true believer who disagrees with me than share small talk with someone who wants to brush our differences under the rug. Second, I know Christians can disagree: I have known some very faithful, kind-hearted people who are the polar opposite of me on the political spectrum, and I have known some jerks who are closer to me theologically and politically than I care for them to be. People are all over the map, and loving them can be a challenge. Finally, I also know that yes, people can get so wrapped up in political rhetoric that they demonize their opponents. But folks who argued for nonviolent resistance during the struggle for civil rights talked about loving their enemies too much to let them get away with oppression. When I point this out, people say “yes, but that was a different situation.” Exactly: The oppression of our day depends upon us romanticizing the past, thinking that such radical expressions of faith belong to another era for more important issues. Jesus promised his followers that those who hungered and thirsted for righteousness would be filled, and that peacemakers would be called Children of God. But he also said that such righteousness-seeking and Jesus-following would result in persecution. Are we a-political pastors training a church to be so fearful of conflict that it will fold at the first sign of criticism? How can we expect our members to be bold about their faith if their leaders are experts at equivocation? How do we model engaging and wrestling with political conflict? Sure, I recognize that people on the opposite side of the political spectrum could make the same arguments. I should point out that many of them are, and from the leftward-leaning side there is largely the sound of crickets and passing traffic. But I am glad that there are more and more voices resisting the slow political drift of the church. The default conflict-avoiding position of the church is necessarily conservative: “Don’t move too fast!” is what many clergy, both white and black, told Martin Luther King, Jr. It’s the natural reaction of people who want to resist change of any kind: delay, distract, deny. Thank God someone got polarized. Everyone in the middle was fine with injustice.